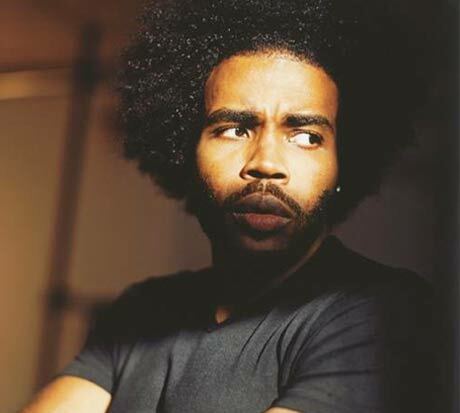 Following the news that underrated hip-hop MC Pharoahe Monch was preparing a new LP and touring across Canada with hip-hop collective Slaughterhouse, the rapper has divulged more details on what we can expect from his upcoming W.A.R. album. Asked for an overview of the album's lyrical content, Monch recently told Exclaim!, "From top to bottom, it's the most cohesive record I've recorded so far. It's an honest record in the sense that everything I'm saying I feel strongly about and honest about. From my inner struggles and revealing some of my hardships and downfalls, the sickness and asthma, and how those have affected my life, to my opinion on the industry." The album, according to Monch, has been in the recording process for about a year and a half now, but it started with musical ideas that were formed during the recording of his 2007 LP Desire. The process, he adds, has been kind of hit-and-run, partly because of working in various studio environments and various guests such as the Roots. "We're getting it in whenever we can," Monch explains. "For the Roots, we went to Philly and some of the stuff is in the basement of well-known musicians. We had a studio we worked in on Staten Island, so it's been all over the place, and it feels very renegade. I love to just get hit with inspiration and get a more organic interpretation rather than push it out. It feels good to me to do it that way." In terms of production, the rapper assures Exclaim! that although it's "harder" and has "more straight-rhyme choruses" than previous efforts, W.A.R. is still a product of Monch's unshakeable relationship with melody and musicality. "I can never get away from that, 'cause that's my background, from Organized Konfusion. I think the musicality of Desire - we stepped it up in terms of soul and in terms of instruments, cause notes, melodies and harmonies is something that was always with me comin' up listening to music, so I always implement that." So why the dub the album W.A.R.? "We went with the title W.A.R. [an acronym for "We Are Renegades"] because we are waging war," Monch says. "We talk about war against the industry, the powers that be. I see a direct assault on art from radio and in the schools, and I always felt that art promotes opinion, and the regime, the people who want to rule, they don't want an opinionated follower, they just want you to follow." Not that Monch has ever been a follower, but he's speaking to the fact that, having founded W.A.R. Media, he's now on his own record label. "It's amazing [and] empowering" he gushed. "It's a small business: you gotta get up in the morning, open the shop, shovel the snow. Whatever you're gonna get out of it, you've gotta put into it." W.A.R. is still in the recording process, so at this point it is still unclear whether the album will drop this summer. In the meantime, Pharoahe Monch is still currently touring across Canada with Slaughterhouse, with a handful of dates left for the western half of the country.